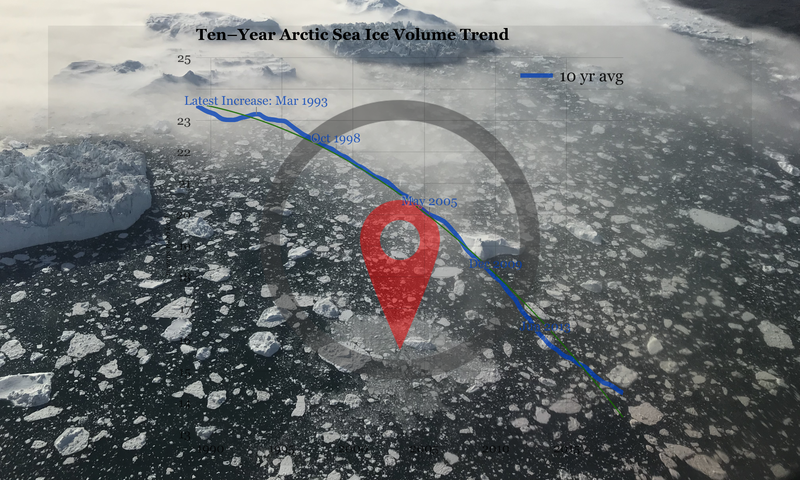 Arctic sea ice volume refreeze has come 99% of the way since Summer Minimum per March 31st. The lowest volume year ever, 2017, by the same date, was at 87%. Q: How can anyone know if there is a full refreeze? A: Easy. Use a computer. If you have e.g a 17 thousand km³ volume melt, and then the refreeze is also 17 thousand km³, then you have a full, or 100%, refreeze. A: Let’s say you want to know how much ice refreezes compared to how much ice that melted away.